The good news is that there are effective ways to actually reduce your tinnitus that are natural and make improvements to your brain function where the tinnitus perception is produced. click this link to go on over to our sister website Tinnitus Synergy.com. 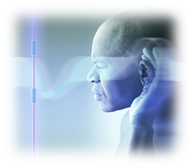 Tinnitus Solutions and the Brain VIDEO – 15-min video showing How & Why tinnitus develops and how therapy works. Use of this program or participating in this study is not intended to diagnose or cure a disease or establish a doctor-patient relationship with Jay Hobbs, DC. Always follow your personal doctor’s advice.